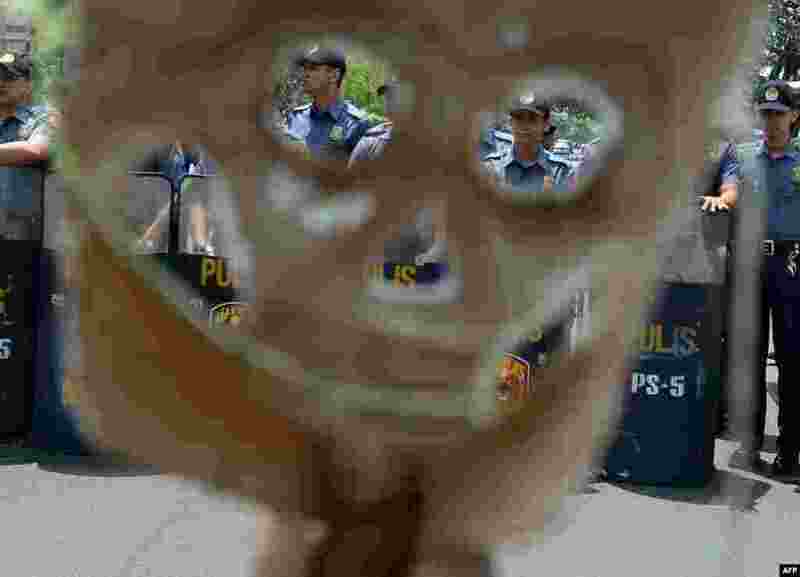 ۱ Policemen blocking protesters are seen through the mask of a protester during an anti-US protest against a greater US military presence in the region, near the US embassy in Manila ahead of US President Barack Obama's visit to Manila in April. 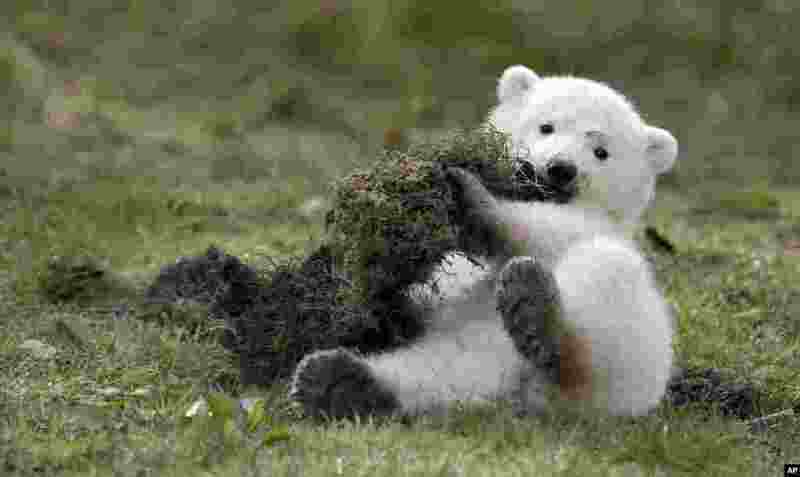 ۲ One of the polar bear twin cubs plays in their enclosure at Hellabrunn zoo in Munich, southern Germany. The cubs were born on Dec. 9, 2013 and have been named Nela and Nobby. 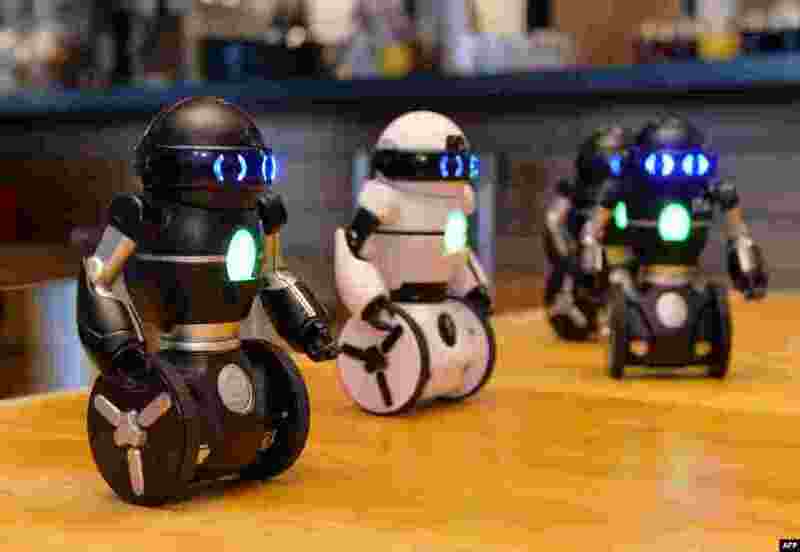 ۳ Two-wheel robots "MiP" demonstrate a dance as Japanese toy maker Tomy introduces the new toy robot in Tokyo. The 19cm tall robot, developed by Canadian toy maker Wowwee, can perform dancing and running, operated by smartphone. 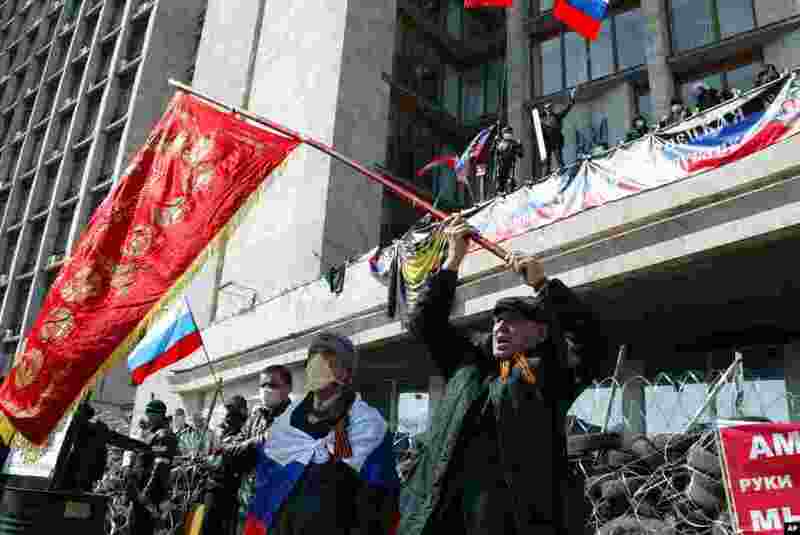 ۴ Activists wave an old Soviet and Russian national flags in front of a barricade at the regional administration building, in Donetsk, Ukraine. 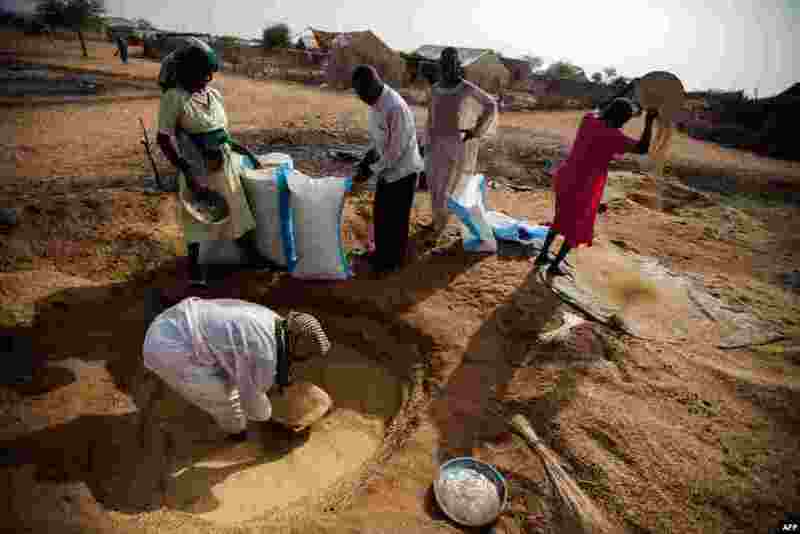 ۵ A handout picture released by the United Nations-African Union Mission in Darfur (UNAMID), shows displaced people collecting millet they had stored underground in Khor Abeche, South Darfur. 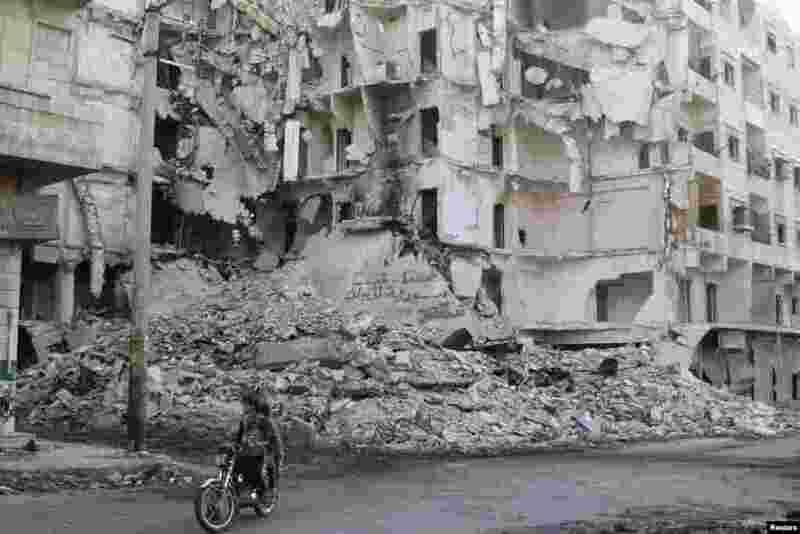 ۶ People ride on a motorbike past damaged buildings in Bustan al-Basha district in Aleppo, Syria, April 6, 2014. 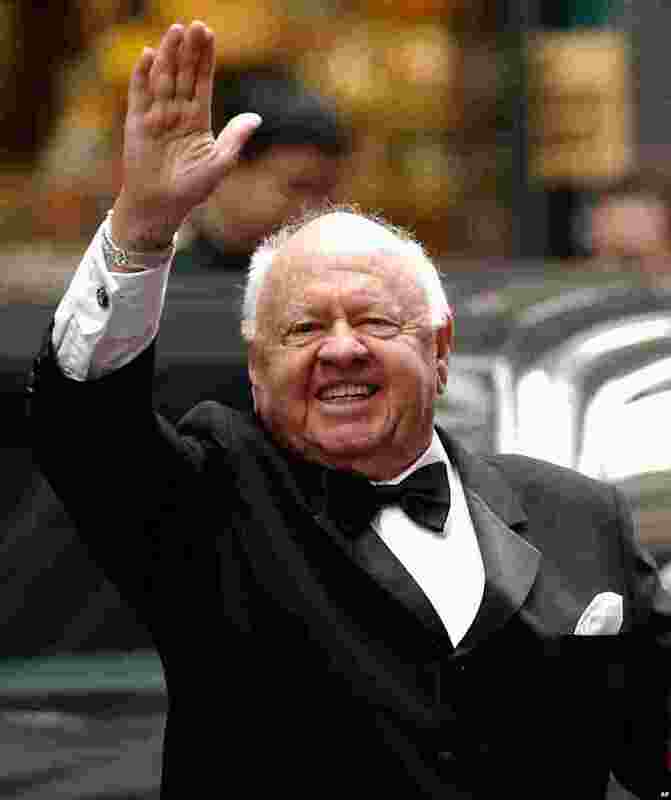 ۷ Actor Mickey Rooney waves to admirers as he departs the Regent Wall Street Hotel in New York. He was Hollywood's top box-office draw in the late 1930s to early 1940s, died Sunday, April 6, 2014, at his North Hollywood home at age 93. 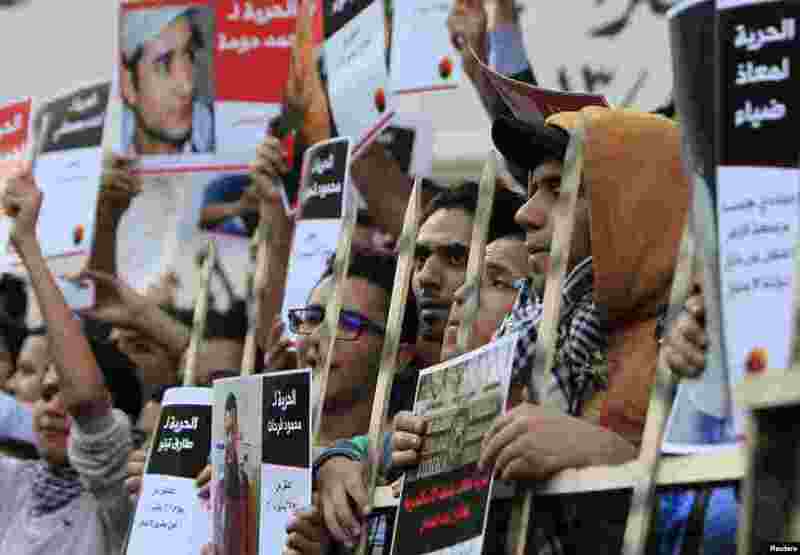 ۸ Members of the April 6 movement shout slogans with activists against the government as they protest against the detention of several members of their movement in front of the Press Syndicate building in Cairo, April 6, 2014.